Looking for a homemade hair mask? 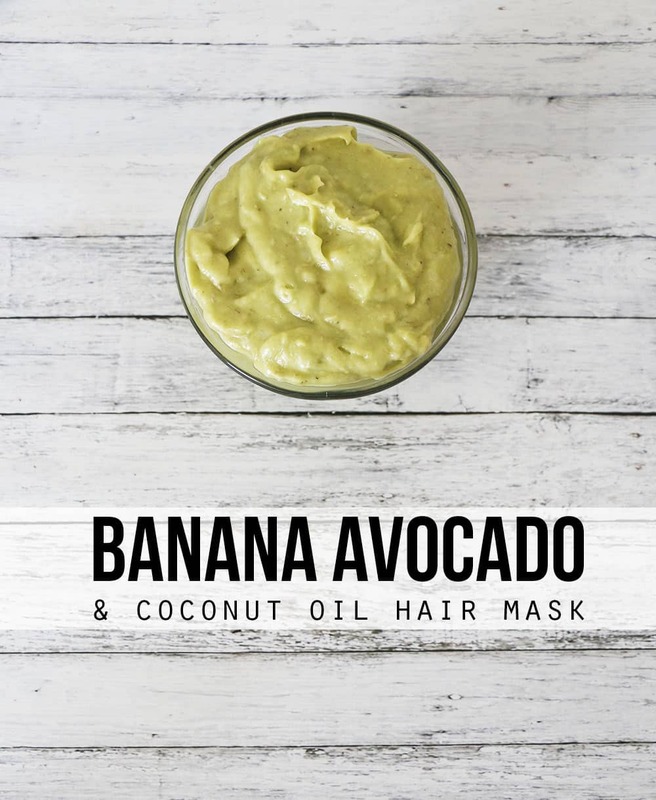 This coconut oil avocado and banana hair mask can’t be beat! With just three ingredients, your hair will look less damaged and feel healthier in no time. One of the reasons I love homemade beauty treatments, specifically homemade hair masks, is because I almost always have everything on hand to make them. Not only that, but they are an awesome way to use up fruit and veggies that aren’t pretty enough to be served on your plate any longer. Last week, I shared a Strawberry Cream Winter Facial Mask that used up some strawberries that were on their way out along with some yogurt that wasn’t getting eaten quick enough. I wasn’t sure what the combination of banana and avocados would smell like, but it was actually really pleasant. Plus, the consistency is thick enough to stay on your hair without dripping and hold it in place while you’re letting it set. And if you’re in the mood for a spa night, try out this face mask or this foot mask! What’s so special about coconut oil in this coconut hair mask DIY? Coconut Oil is loaded with Vitamin E and healthy fatty acids that give it high moisture retention properties. The chemical structure of coconut oil also allows it to penetrate the hair instead of just coating it, making it the perfect ingredient to add some moisture back into dry and damaged hair. Why use an avocado hair treatment? Because avocados are packed full of vitamins that allow them to aid in hair growth as well as repairing damaged hair. Avocado hair mask benefits also include helping improve the the strength of hair strands. This makes me love avocados for hair repair as much as I love them on toast! What does banana do for your hair? A lot! Bananas are high in natural oils and vitamins that soften the hair and help prevent breakage. Which is one of the reasons I love using a banana for hair growth in masks. Bananas also aid in improving the appearance of your hair, can add a healthy glow to your strands and aid in controlling dandruff. 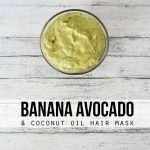 This is why a DIY banana hair mask is one of my favorites to make! Combine ingredients and blend together until thoroughly mixed. Spread the mixture over your hair and let it set for 20-30 minutes. Use 1 Tbsp of Coconut Oil instead of 2 if you have thin hair. I have thick, wavy hair and used extra coconut oil to reduce frizz. If you want to make the rinsing process easier, press the mixture through a sifter or cheesecloth before applying it to remove any chunks. Otherwise, just shampoo a little more vigorously. Makes two masks for thick, shoulder length hair. After it’s all rinsed out, I just comb through my hair and let it air dry. Then it’s super soft, shiny and a breeze to style! What is your favorite type of homemade hair mask? 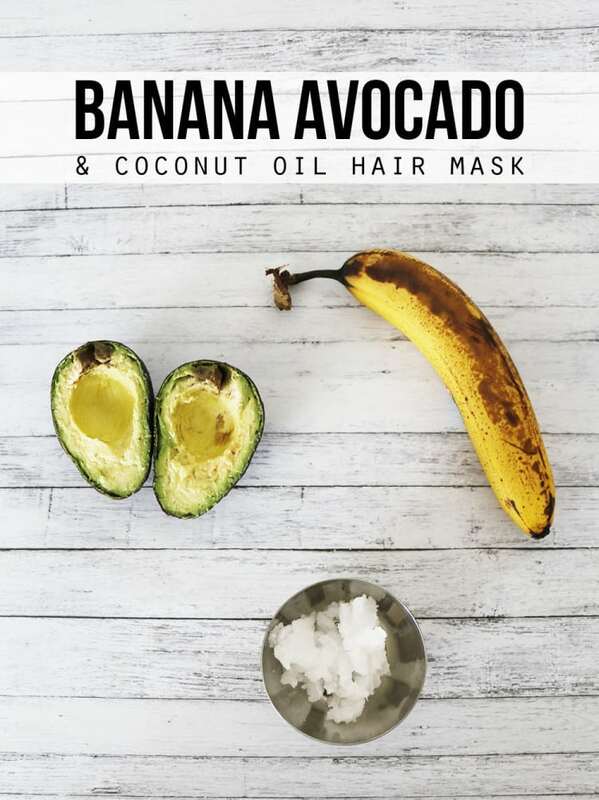 Do you use any other coconut oil hair masks or banana hair masks? This looks amazing! Totally going to try this! Avocados rarely go bad at our house, my husband sometimes eats them plain. But I love food hair masks! Feed your hair without wasting food…I do have to ask did your shower smell funky after doing this? Nope – no funk! I used a bit of extra shampoo and conditioner afterwards to make sure it was out of my hair and it seemed to keep the shower clean, too. I’ve used all of these products separately in my hair before, but never in one mask. Coconut oil is definitely my favorite one, and I frequently use it- even just a little bit on the ends- to help condition my hair. I wasn’t a fan of banana as a mask. Perhaps I will have to try a mix of the coconut oil and avocado! Hey, I actually have all this stuff already! Totally going to try this! I have been wanting to try a hair mask. I have all three of these ingredients, so I think I’ll be trying this tomorrow! Oh this sounds really great. My poor hair is so in need of a good mask or treatment. I wonder if this would help any. I can give it a try, and see! Sounds good, and easy to make! Thanks for sharing. I will do this on the weekend! This sounds like it would be amazing on my hair with how much we travel the different climates can really mess with my hair. Theism sounds like a great way to refresh my hair. I love that it’s from stuff right in my kitchen. I always used avocado on its own. this combo is quite interesting! I definitely need to whip this up this weekend! I love a good hair mask! I’m so bad at DIY stuff. It’s so inexpensive and easy, I just never do it, always store bought! 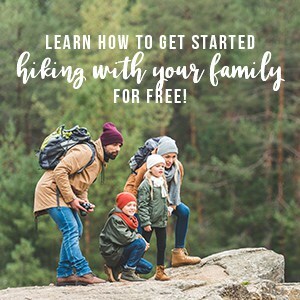 This seems like it would be a good place to start though! Nice!!! I need to try this for sure. Thanks. I really need to do this. Winter is brutal. I am in love with this post!! I love how easy and simple it looks, and it looks so great for your hair! I am a sucker for hair masks (I’m always growing out my hair) so I want to try this!! Thanks for sharing girl! It really is a great way to use fruits and veggies that are just past quality life span for eating. This one sounds really rich, good and fortifying too. I’d try it for sure. And you’re right, hurrah for being able to make homemade beauty items with ingredients we already have on hand! I have to say, this hair mask looks good enough to eat! We often have ripe bananas and ripe avocados in the house. All I need is some coconut oil and I’m set. Thanks for the easy recipe. I really do love DIY beauty treats, especially as they are all natural. Avocado is so great for everything isn’t it. I really want to try and make this mask for myself because my hair really is in need of some tlc. My hair is so dry from the winter weather so I need to make this, pronto! I have heard that both avocado and coconut oil can work wonders on your hair as well as skin, and face. I never thought to add in the bananas. My only concern would be the hubby would walk in as I’m eating my hair! I love when people can make use of products they already had but I have to wonder, Does this smell like Coconut? Because if so, i’m out! Haha. I don’t like coconut in the least. The thought of the smell makes my tummy yell! Haha. But i really do love that you are able to make use of products like this! I love using homemade scrubs and mask. It’s so much fun! Thank you so much for sharing!! My hair needs this!! I happen to have a banana in my kitchen that was destine for banana bread… I think it will be hair mask instead! Thank you for sharing this! I recently started using coconut oil for my hair, and I have to agree: it makes a world of difference in the texture and overall look of it. I love this idea of a mask, and like you said, it’s easy enough that I have the ingredients already on hand! Glad I found you through SHINEbloghop, Ashley. Have a good one! I’ve never tried a homemade product on my hair before, but this looks easy. I’ll have to try it. Thanks for sharing on Small Victories Sunday link up. I love homemade beauty products and this sounds like a fantastic one. Also it would be perfect for a DIY mother’s day gift! I featured your post this week at #FoodieFriDIY – thank you so much for participating! Wow, what a cool idea. I must try this. My hair gets damaged in the sun and tend to be on the frizzy side. Will give it a go. How many times a week i have to use this mask ? This looks awesome! Is it best to wet my hair before applying or put directly on dry hair? Hi Jennifer! I’ve always put it on dry hair as I tend to do other things while I’m waiting for it to set :) I haven’t tried it on wet hair so I’m not sure if that would affect how it works! This sounds like exactly what my hair needs !!! If I don’t use it all can I store it in the fridge? Or does it all have to be used once its made ? ?